Golden Acres Tree Services has received a five star review from many of our customers. We work with several species of trees that grow in Regina, including poplar, elm, ash, and more. We are always open, meaning we can accommodate any home or business owner’s schedule. Whether you want to plant a tree, need a tree removed, or require a simple tree trimming, we have the supplies and techniques to handle your requests successfully. 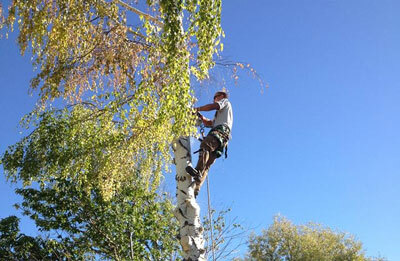 With five decades of experience, our arborists can tackle even the tallest trees and toughest jobs with ease. We’ll also pick up where another tree trimmer left off with our stump grinding and wood chip mulch services. Contact us for a free estimate on all your tree service needs, with quick turnaround times.